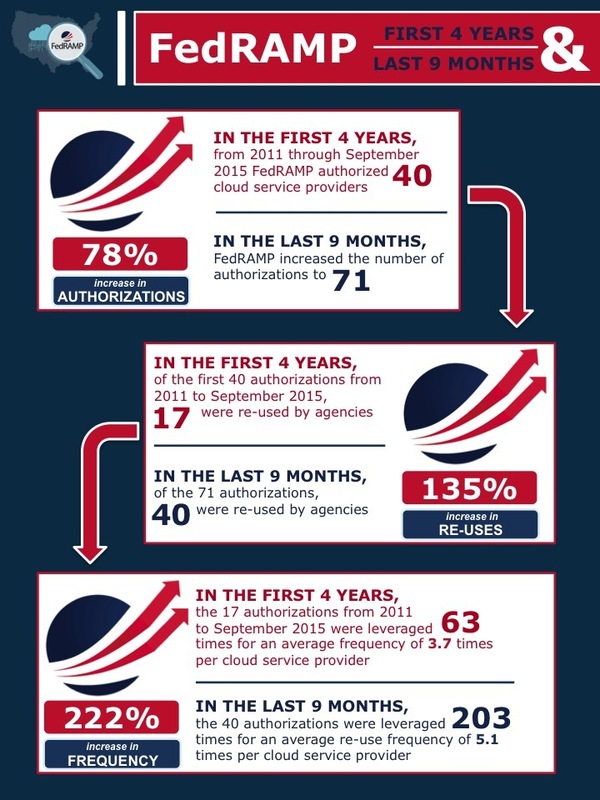 In a review of its progress over the past nine months compared with the four years before that, the General Services Administration (GSA) released an infographic touting the increases in authorizations, re-uses, and use frequency of cloud service providers. This progress report comes about three months after GSA announced significant structural changes to the way the security of cloud service providers are evaluated. These changes, titled FedRAMP Accelerated, came after the Fix FedRAMP paper offered significant criticism of the lack of transparency, clumsy processes, and high cost of the Federal Risk and Authorization Management Program. In addition, a MeriTalk survey, released late last month, found that of the 150 Federal IT decision-makers surveyed, four out of five officials (79 percent) are frustrated with FedRAMP, characterizing the process as “a compliance exercise.” Fifty-nine of those surveyed said they would consider a non-FedRAMP compliant cloud.